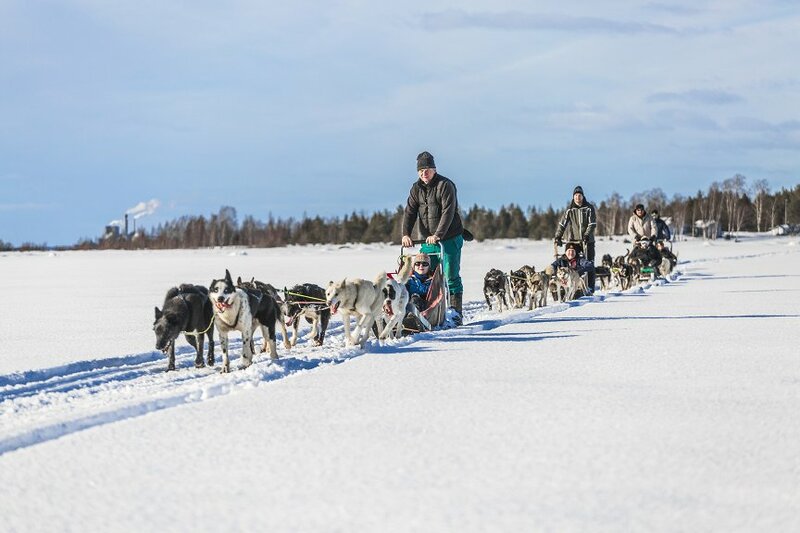 Cruise the frozen sea on an Icebreaker or head out on a cross-country ski tour in the snowy archipelago. 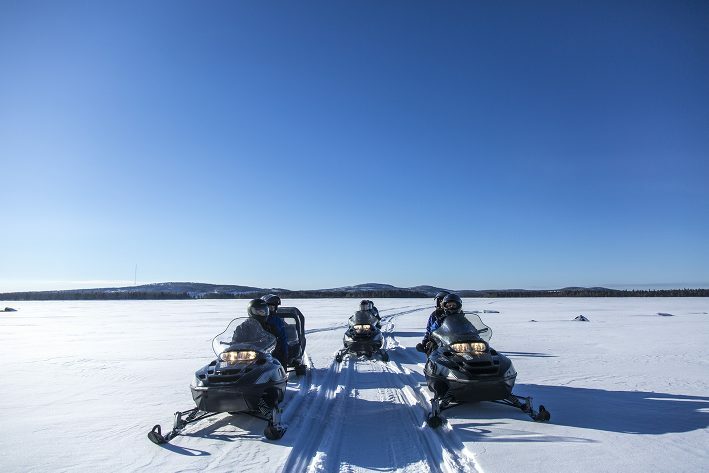 Get close to nature on a snowmobile or dog sled tour and watch the northern lights dance across the starry sky. You will be taken on a tour all the way down to the engine room and all the way up to the Captain’s bridge. You can relax in the saloon and enjoy a hot drink or go for a walk on the frozen sea. 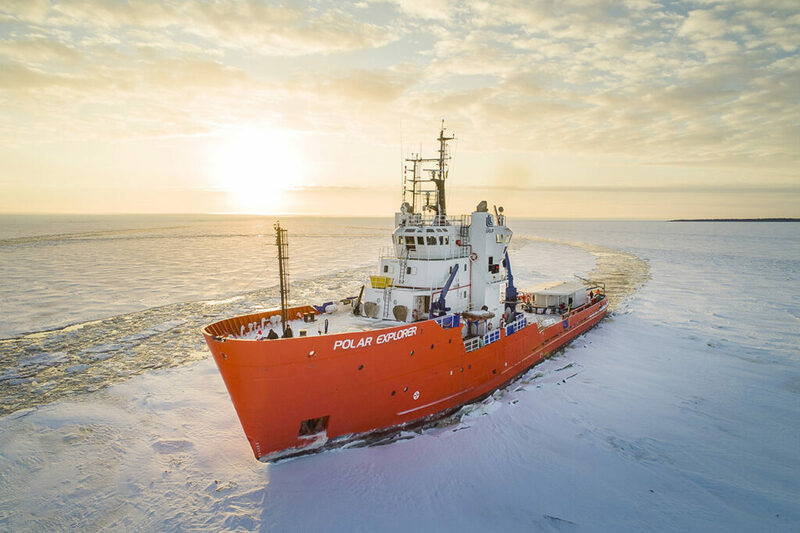 The icebreaker creates a “pool” free from ice in the stern where each visitor may have a swim in the icy water, wearing a wet suit. The captain will present the Cruise and Swim certificate to everyone as a memorable gift. Transfer to the husky kennel, a 25 minute drive by bus/car from Ice and Light Village. Introduction by guide who teaches us how to drive the husky team. We learn about the surrounding nature and the way of life on a husky kennel here in Swedish Lapland. After introduction it’s time to head out for adventure - two persons per dog sledge, taking turns driving the dog sledge team. The adventure ends back at the kennel by enjoying coffee or tea and a snack around the open fire. After safety briefing and driving technique instructions, the excursion starts and we head upstream over the frozen river of Kalix. The participants take turn in driving the snowmobile. On our way to the nature camp, we pass the city of Kalix. Upon arrival we start a campfire outside the timber hut. We enjoy a snack and coffee or tea around the campfire. After coffee break we head back to Ice and Light Village.